Tracy Kay works with brilliant socially-conscious consultants, speakers and trainers who want to reduce the learning curve on how they can get their foot in the door and share their expertise with larger organizations and grow their businesses. 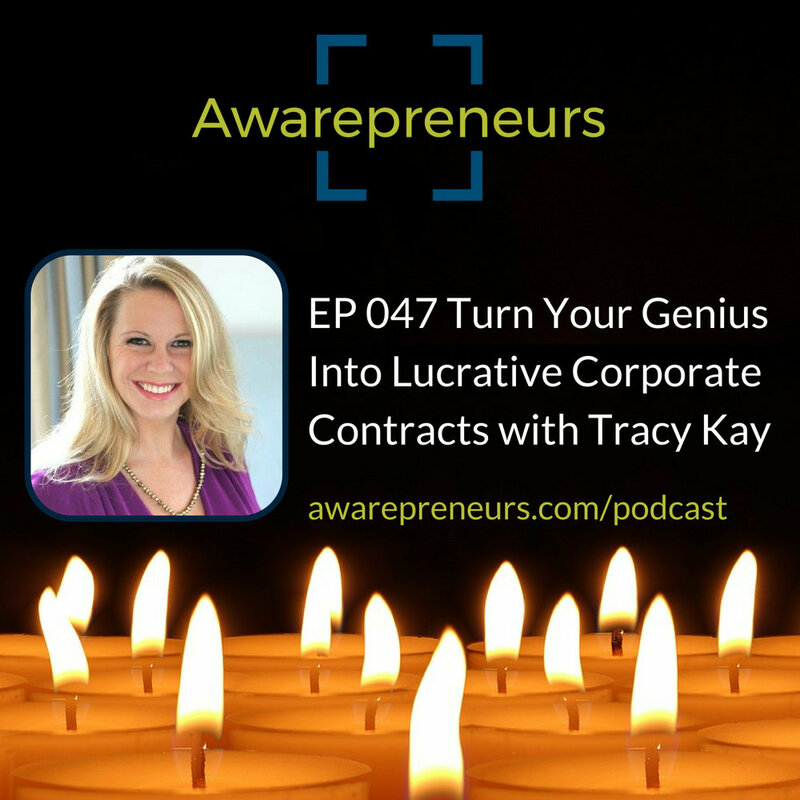 She is known as "the Corporate Training Goddess" and is CEO & Founder of Tracy Kay International and creator of the Genius Contracts Academy, a program that helps consultants, speakers & trainers turn their genius into lucrative corporate contracts. If you'd like support and feedback about how to grow your conscious business, the Awarepreneurs Community is a community of 300+ plus conscious entrepreneurs like you. Come join us!